Do you have a problem with leakage when you cough or sneeze? Do you sometimes have trouble making it to the bathroom in time? You may have urinary incontinence: the inability to control the release of urine from your bladder. Although anyone can experience this problem, childbirth, menopause, and the anatomy of the female urinary tract make women twice as susceptible as men. The good news is that incontinence is treatable — and often curable. To diagnose the problem, your doctor will first ask about symptoms and medical history. A physical exam will help evaluate conditions that cause incontinence. Certain tests will measure your bladder capacity and residual urine for evidence of poorly functioning bladder muscles. There are multiple types of incontinence. If coughing, laughing, or sneezing cause urine leakage, you may have stress incontinence, the most common form in women. 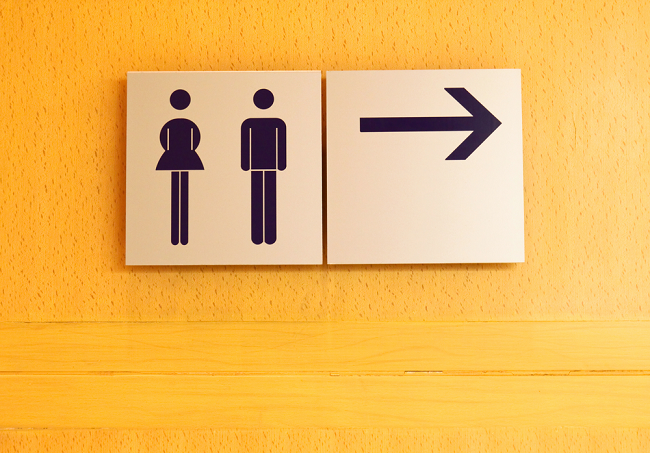 If you lose urine while suddenly feeling the need to urinate, you may have urgency incontinence or an overactive bladder, related to abnormal communication between the bladder and brain. Temporary transient incontinence can be triggered by medications, urinary tract infections, mental impairment, restricted mobility, and severe constipation. Several treatment options are available. Kegel exercises (or Kegels) that strengthen or retrain muscles can reduce or cure stress leakage, while biofeedback can help you become aware and gain control of your body’s functioning to relieve stress and urgency incontinence. Biofeedback and muscle conditioning — known as bladder training — can alter the bladder’s schedule for storing and emptying urine. These techniques are effective for urgency incontinence. Medications can also reduce the abnormal signal of the need to urinate and help to relax the bladder. Some drugs inhibit contractions of an overactive bladder, while others relax muscles — leading to more complete bladder emptying during urination. Some medications, especially for male patients, reduce any blockage of the bladder outlet which may help with incontinence. And some medications, including certain hormones, are believed to cause muscles involved in urination to function normally. Doctors may suggest surgery — known to have high rates of success — to alleviate incontinence only after other treatments have been exhausted. Are you seeking relief from overactive bladder? Erlanger East offers a free seminar “Overactive Bladder and its Treatment” each month where Dr. Colin Goudelocke provides information about the latest treatment options and procedures available for men and women. For more information, call 778-4OAB (4622). To enroll in this FREE seminar, call 778-LINK (5465). So happy with my surgery to fix this. No more leaking when I sneeze, cough or laugh. This is great to hear! Thanks for sharing, Lisa.